KoopaTV: Don't Like Smurfing? Abolish Gun-Free Zones! By LUDWIG VON KOOPA - Consistent logic taken to its conclusion. To be clear, this article's definition of "smurfing" is along the lines of, "An experienced/established player going on another, new account to be match-made with newbies." This doesn't happen in environments where there is no ranking system, like Super Smash Bros. Brawl's online. Of course, that has its own downsides of total anonymity which sort of prevents any social aspect. And I suppose in an online world where communities and reputation are a thing (and reputation will exist by virtue of people populating a community, because things like reputation exist outside of the game by people's interactions within it), you can still have folks do "smurfing" by making alternate accounts to try to get a clean slate. So here's the core principle of why this is a problem: You have high-ranked players who are very dangerous in person-to-person play. Games, and everything else for that matter that relies on a user base for success, maintain survival by having new players. New players are pretty much defenceless against high-ranked people, so they're systematically ranked against other low-ranked people where it's two equally-unskilled weaklings going at it. That's fair. Meanwhile, high-ranked people battle other high-ranked people. If high-ranked people are pretending to be newbies and then stream-rolling/splat-rolling the newbies, then the newbie is just going to get the hell out of there. That's not a friendly gaming environment and it's not fair. It disrupts the two equally-unskilled balance. And that's exactly the issue with gun-free zones. Gun-free zones have been the topic brought up by conservatives (and anyone else with common-sense) whenever a shooting happens. Basically, these mass-shootings all take place in places where the location does not permit you to carry firearms, even concealed ones that you have a licence for. 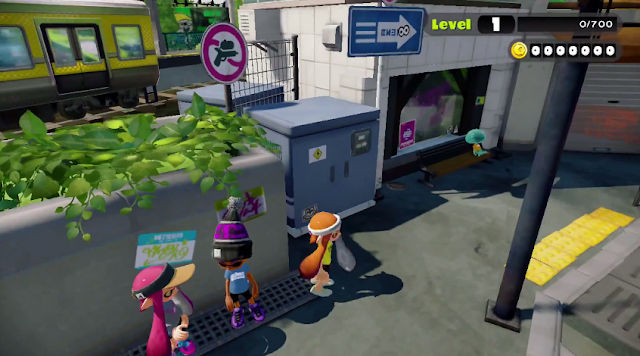 You think Octoling scum will obey that gun-free zone sign? Nah. These Inklings will be totally defenceless. That's why they froze your game file. Gun-free zones. Basically, with gun-free zones, you have the shooter who doesn't care about the gun-free designation. They look like any ordinary citizen, at least before they arm themselves and don bullet-proof vests. The shooters have a lot of mental issues, but with the crappy mental health system in America, people don't even detect that. So they look perfectly normal. Just like how at first, the "newbie" looks like a newbie. Until they reveal their tech skill. So then they just wreck you/kill you. In a gun-free zone, you don't get to respawn or go back to the lobby if your game is over. You're finished. Which makes it very critical that we get this right, preventatively. It's time to level the playing field across life and gaming. That would allow gaming ecosystems to sustain, and then mass-shootings would stop. It's hard for the dangerous person to do that much damage if everyone else around them can stop 'em dead! Ludwig will leave the details of how game designers would end smurfing to the game designers. He's a strong 2nd Amendment advocate, so of course he'd make this analogy. Don't pretend to be a new player, and also don't bully new players.